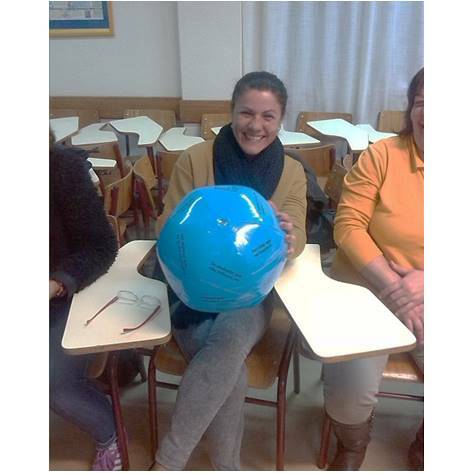 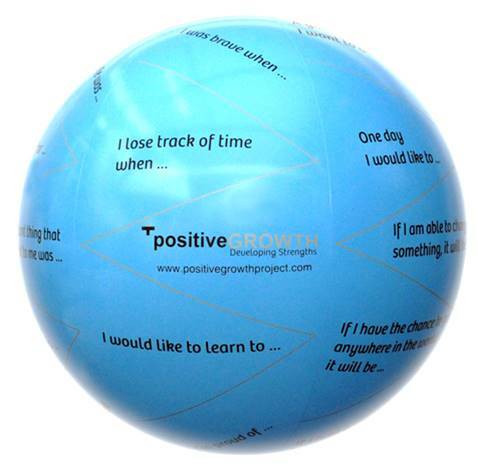 The Happy Ball is an inflatable ball with 30 printed questions, created with focus on the positive, with the intention to stimulate self-knowledge and sharing of positive experiences and emotions. 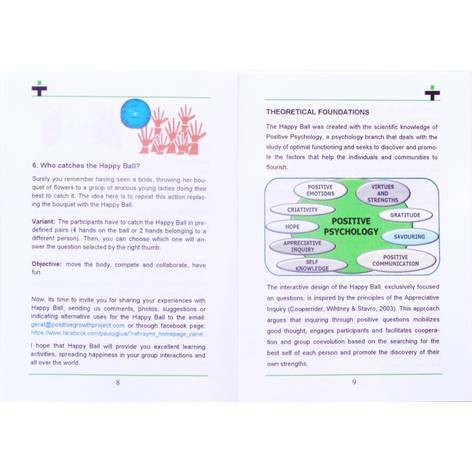 The aim of this kind of questions is to awake the best self inside of each human being. 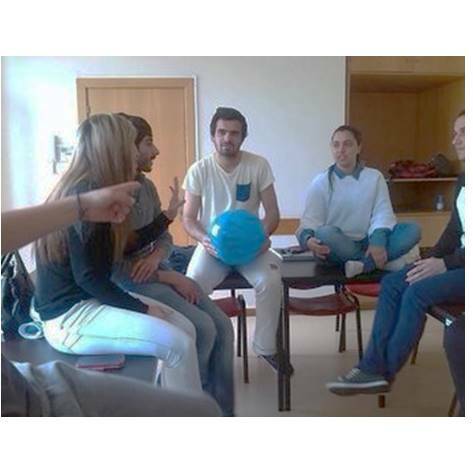 - Personal/social: family or couple, activities with adolescents, senior groups, social support groups and community activities. 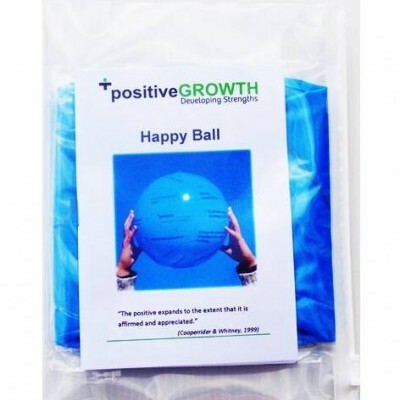 The Happy Ball easily adapts to different objectives, and can function as warm up game in group activities. 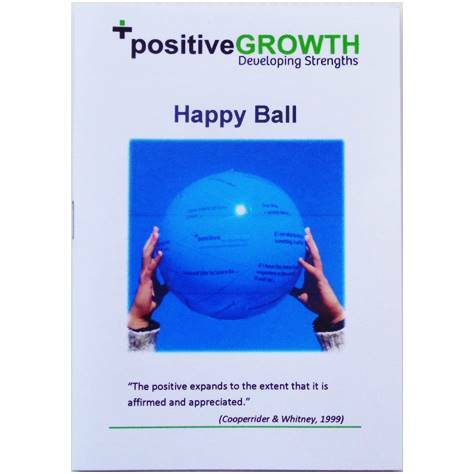 The practical exploration of the Happy Ball games will depend on the target audiences and the objectives that are intended to be achieved. The same ball can be used in different contexts and in different ways, which enhances its use. 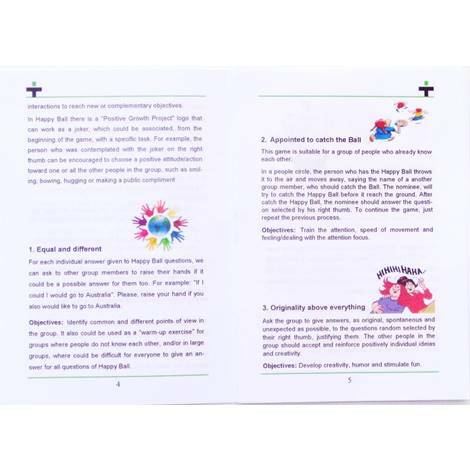 The Happy Ball is accompanied by a manual of practical exploration ...>> with several exercises and explanations about Positive Psychology. The Happy Ball Kit consists of: an inflatable ball of 30 cm of diameter, a manual and a transport bag.